We’re Dedicated To Giving You More, And More Powerful, Cleaning Solutions. For a downloadable product brochure, click here. When it comes to removing and preventing mold and mildew stains, Home Armor® offers you proven formulas you can use all around your home. 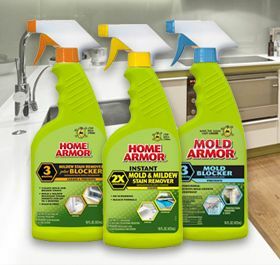 From a powerful, bleach-based formula to a mold blocker that forms a long-lasting barrier against mold and mildew, Home Armor® can help you keep your home cleaner, longer. Home Armor® works in seconds and there’s no scrubbing. 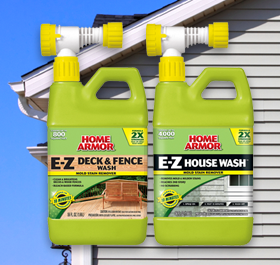 Home Armor® offers you the best performing exterior home and deck cleaners on the market. Our hose end products blast away dirt and debris while reaching areas you can’t normally get to without a ladder. The bleach-based formula delivers an instantly clean appearance with no scrubbing, and is safe for grass and plants when used as directed. 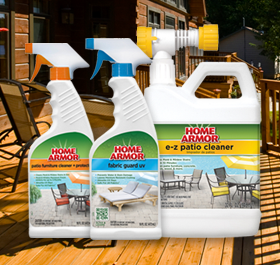 Home Armor® makes it easy to clean and protect patio furniture and patio surfaces. 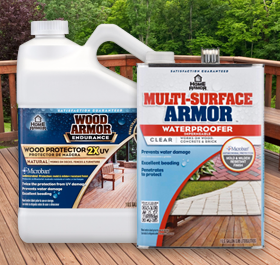 Whether it’s your patio furniture, umbrellas, cushions, or the patio and deck surface itself, there’s a Home Armor® product that can quickly wash away the effects of Mother Nature. So, you can spend more time enjoying life outdoors. 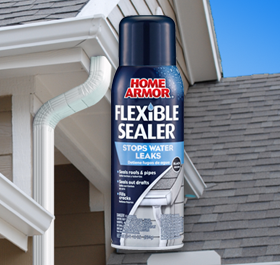 Home Armor® Flexible Sealer works on multiple surfaces to prevent costly repairs. It applies in seconds and guarantees a long-lasting, watertight seal. While the products on these pages are no longer available for sale, we will continue to support customers who bought them. If you have purchased one of these products, you can find all of the data, specifications, and directions you need to use it safely and effectively.